A collection of events, launches and new intitiatives as well as a focus on ECCR member The Medical Mission Sisters. ECCR is developing a dialogue with a number of its members to identify ways in which we can work together as people of faith, seeking to ensure UK retailers are fulfilling their promises to minimise the use of plastic in their supply chains. Any members (and non-members) with an interest in joining our coalition, please e-mail Alison.The Environmental Investigation Agency (EIA) and Greenpeace UK are conducting a survey of major UK grocery retailers, their use of single-use plastic packaging and their targets to reduce it. The results, due in the autumn, are expected to reveal the volume of single-use plastic packaging each retailer puts onto the market every year, their targets to reduce plastic packaging and their approach to tackling plastic pollution across their supply chains. The detailed survey, which is believed to be the largest-ever survey of UK grocery retailers and plastic, has been sent to the 11 largest supermarkets by market share and grocery retailers with more than 1,000 stores across the UK. The results will provide a benchmark for current commitments and actions on curbing plastic pollution. As well as collecting data about volumes of plastic and reduction targets, the survey intends to look at how retailers are planning to meet their targets and to reveal some of the challenges faced by retailers and solutions that are being developed. The results will also highlight where further innovation is needed. EIA and Greenpeace UK plan to carry out this survey annually to encourage improved performance on reducing, reusing and recycling plastic packaging. 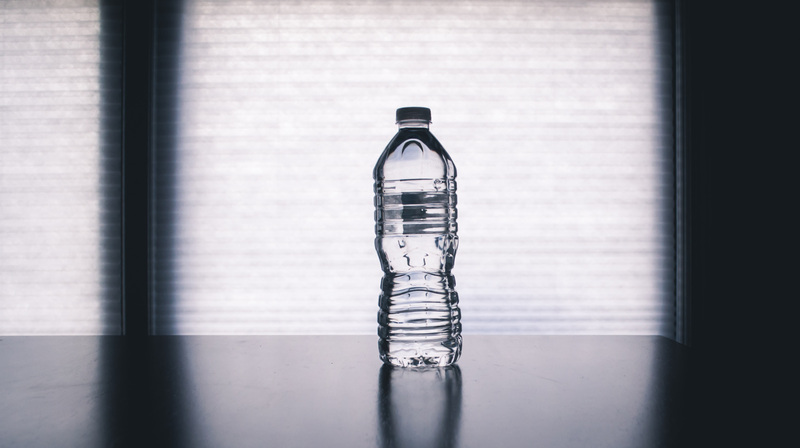 The French food company Danone has publicly pledged to move towards using 100% recycled material for Evian plastic water bottles. The announcement comes against the backdrop of front page reports on the enormous quantity of plastic waste spoiling our oceans and harming sea life. David Attenborough’s series Blue Planet 2 has warned that our oceans are being turn into a ‘toxic soup’ of industrial waste and plastic. Church members and their denominations have backed a campaign to avoid purchasing food in plastic packaging for the period lent. The intention is to reduce the need for the use of fossil fuel for the manufacture of plastic packaging. One solution could be to aim for a closed loop system in plastic manufacture whereby all plastic products use 100% recycled plastic. We are not very close to this at the moment. A plastic Evian Water bottle uses 25% recycled material and 75% new material from oil refining. 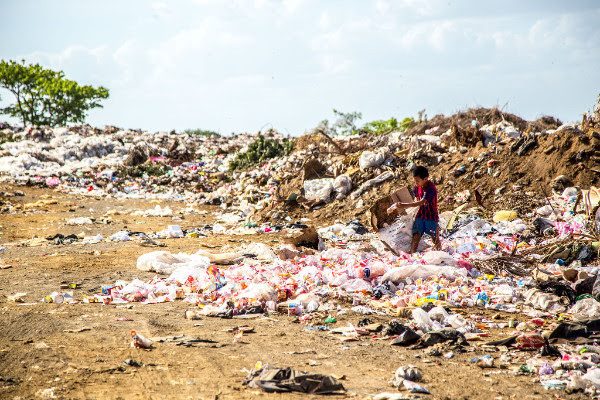 The problem is that plastic can only be re-cycled about three times before the quality degrades such that it is not suitable for food and drink products. I raised this issue recently in a meeting with Nestlé whose Buxton water bottle uses 20% recycled plastic. They explained how they have reduced the weight of the bottle as much as possible. They explained the difficulty of going much further as food producers must be able to ensure that they meet food safety standards. Evian, it seems, is addressing the problem systemically by investing a significant sum of money in innovation in the supply chain. They have teamed up with Loop Industries to develop a new process that can transform all types of waste plastic into the high-quality material needed for food and water packaging. Letters to Danone/Evian could be useful. We might welcome this move and ask that they provide progress reports on fulfilling their 2025 pledge. Should socially responsible companies that are large producers of plastic be thinking outside of the box on this one? Major corporations in the sector could be asked what they will do to help transform the plastics supply chain or increase our capacity to recycle the plastic products that they produce. 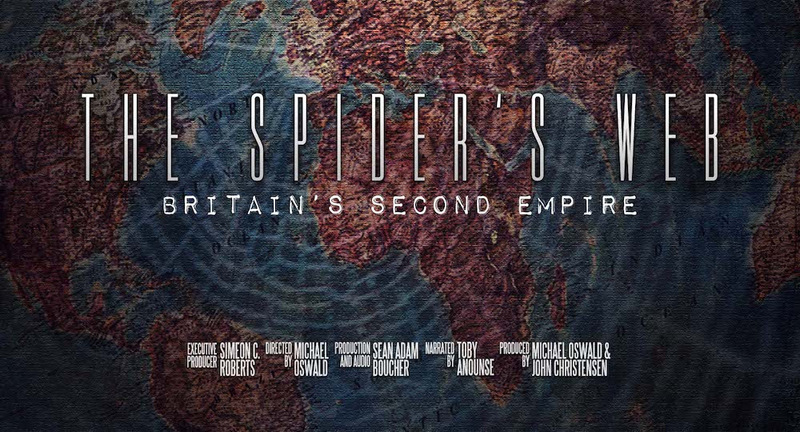 Join Church Action on Tax Justice at a free screening of The Spider’s Web at Westminster Central Hall on Monday 4th June 18.30. Register for tickets here. Daphne Norden, herself a Medical Mission Sister describes the work of ECCR member The Medical Mission Sisters – official title Society of Catholic Medical Missionaries. We are a Roman Catholic religious institute with the aim of promoting health and life to the full for all. Since the biggest cause of disease in our world is poverty, many of us are living in countries where the majority are living in poverty and therefore their health is particularly at risk. We started in the 1920s to take a medical service to Muslim women in North India, many were dying in childbirth because their culture did not allow them to go to a male doctor and there were very few women doctors. USA and The Netherlands but the majority are over 70 and many are over 80 but all see themselves as “in mission”. Originally most were doctors, nurses or in other paramedics. We also have a growing number of associate members who share our values. We built hospitals in Asia and Africa and in the Far East but now we see that the greater need is to prevent disease rather than wait to cure it and have given away most of our hospitals. Now we aim to share people’s lives and problems and to look with them at how to change their situations. Many are engaged in community health work but since poverty is always the result of injustice, we look for ways to challenge injustice. Mostly this involves facilitating the formation of self-help groups. 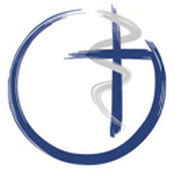 We continue to value our membership of ECCR because we are happy with an organisation that relates with lay people and not just church bodies. We are very happy to see the roll out of the Ethical Money Churches initiative. ECCR with its newsletter and information from different members is a great help in giving new ideas to our members across the world where appropriate. Richard Livings from the Fair Tax Mark introduces the upcoming first Fair Tax Fortnight. The public scrutiny of businesses concerning the contribution they make through taxation has never been more intense. The first ever Fair Tax Fortnight (9th–24th June) is a UK – wide series of events which champions companies and organisations that are proud to pay their fair share of corporation tax and explore of the positive impact this has on society. that pay the right amount of corporation tax at the right time and in the right place, and who overtly shun the artificial use of tax havens and contrived tax avoidance practices. The Fortnight is supported by a dedicated online platform that will detail Fair Tax developments and events across the UK. There will be a marquee opening conference in London on 7 June 2018, which will feature leaders from business, politics, and SRI and will explore key topics such as responsible tax planning and what this means for socially responsible investment. The Fortnight is being co-ordinated by the Fair Tax Mark, a not-for-profit organisation founded in 2014. Using a unique certification system, the Fair Tax Mark helps consumers recognise which businesses and organisations are being open and transparent about their tax. Certified companies range from FTSE listed companies such as SSE and Go-Ahead, co-ops and social enterprises like Midcounties and The Coop Group through to SMEs like Combat Pest Control. Richard Livings, project manager at The Fair Tax Mark said “Polling from the Institute of Business Ethics has found for the last five years that ‘tax avoidance’ is the number one concern of the UK public when it comes to corporate conduct. We have also seen the recent launch of Church Action for Tax Justice, showing an ever-growing interest in tax as a social justice issue. 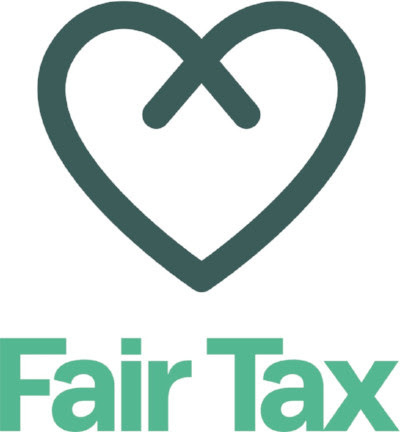 Fair Tax Fortnight is our way of enabling the public to engage with the issue of corporate taxation and show to businesses the sort of behaviour that their customers value” ‘Tax conduct’ is emerging as a major risk factor for socially responsible investors, and much effort is being expended to identify leaders and influence laggards. The Fortnight and opening Conference will be a unique opportunity to explore these issues as never before. For further information on the work of the Fair Tax Mark and to find out more about Fair Tax Fortnight, visit the website. The 2018 Global Access to Nurtition Index (ATNI) was launched in London on the 23rd May. The report raised a number of concerns including the fact that less than a third of products could be classed as healthy. The Index is supported by over 50 institutional investors with close to $5 trillion in assets under management. 2018 Access to Nutrition Index shows world’s largest food & beverage companies need to make their products healthier, more affordable and more accessible to tackle global nutrition crisis. Many leading food and drink manufacturers have stepped up efforts to encourage better diets, largely by adopting better policies and publishing more information, according to the 2018 Global Access to Nutrition Index, which measures the efforts being made by the world’s largest food and beverage manufacturers to reduce ill health due to poor diets. Some have also increased efforts to address undernutrition, including by fortifying foods and supporting education programmes. However, most companies are doing far too little to ensure that poor people have access to affordable healthier diets, including fortified products, and there is still widespread lack of compliance with the International Code of Marketing of Breast-milk Substitutes. Analysis of 23,013 products sold in nine countries by the companies in the Index reveals that less than a third of them can be classified as healthy. Many companies state that a higher proportion of their products are healthy, indicating that their definition is less strict than the two objective and independently-verified models used by the Access to Nutrition Foundation. Nestlé tops the 2018 Index, with above average performance in all, and improvements in most, of the categories of the Index. Meanwhile, Friesland Campina, a Dutch dairy cooperative, has improved the most since 2016, climbing four places in the ranking largely thanks to a new strategy, new initiatives to tackle undernutrition and more responsible marketing commitments. Nine companies scored 5 or more, compared to only 2 in 2016; and the average score overall went up from 2.5 to 3.3 out of 10, but remains quite low. The 22 food and beverage companies included in the 2018 Index generate an estimated $500 billion in annual sales in over 200 countries and their products play a significant and increasing role in the diets of millions of people. The Indexes are designed to measure whether manufacturers are being responsible in the way they make, sell and market their products to address the global nutrition crisis, which sees one – in – three people either overweight or undernourished, and contribute to the Sustainable Development Goals. As in previous editions, the 2018 Index also includes a sub-ranking of six of the world’s largest baby food companies based on their level of compliance with the global gold standard on marketing breast-milk substitutes – the International Code of Marketing of Breast-milk Substitutes. Breastfeeding saves lives, especially in developing countries, and lays the foundation for a healthy life. It therefore has a vital role in infants’ health. The pervasive marketing of breast-milk substitutes can undermine efforts to promote and encourage breastfeeding. This year, Danone tops the BMS Marketing sub-ranking with a score of 46% – considerably better than the 31% it scored in 2016. Nestlé ranks second with a score of 45%, while Abbott ranks third, having substantially improved its score to 34% from 7%. However, all companies need to expand the scope of their marketing policies to encompass all formulas made for children up to 3 years of age and to apply their policies in developing countries as well as developed ones. ATNF’s studies in Thailand and Nigeria found nearly 3,000 incidences (2,807 in Thailand and 130 in Nigeria) of non-compliant marketing of the six rated companies, mostly point-of- sale promotions on the websites of major online retailers. Baby food companies need to do much more to curtail this increasingly pervasive form of marketing.